What is the most important relationship in your life? You might think it is your relationship with your significant other or your children or your parents. But the most meaningful relationship you will ever have is the one you have with yourself. Having a healthy relationship with yourself is the foundation upon which relationships with others are built. If you are deficient in nurturing this most significant relationship, your relationships with others will suffer. Before you seek out family counseling, stop and evaluate your relationship with yourself. So how does one achieve a healthy relationship with one’s self? Carve out “me time,”, and spend it in quiet observation. Look at what makes you tick. What are your passions and motivations in life? What do you value? Are you living aligned with these values? Take inventory of your mental health and emotional wellbeing. Record your observations through journaling or maybe create a vision board that captures what you want to see manifest in your future. Pay attention to your self-talk. Do you speak to yourself in a loving and kind way or are you critical and negative? Most of us would never speak to other people the way we speak to ourselves. Words have power. Be mindful of your running self-commentary and work to transform it to be more encouraging and accepting, both in and outside of individual or family therapy. Be gentle with yourself. 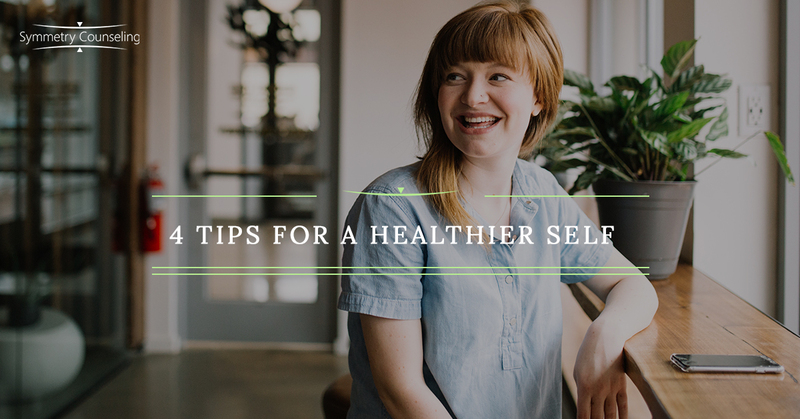 Regularly schedule time to take care of yourself, whether that means a therapy session with a counselor or an hour of quiet time with a book and a cup of tea. Self-care looks different for everyone. The idea is to do things for yourself that make you feel cared for and nurtured. What fills your cup? What makes you feel recharged and replenished? Some examples are: yoga, taking a bath, checking out a new art exhibit, attending a concert, spending a day reading your favorite book, or taking yourself out for a nice meal. I recommend self-care as a solo activity. Take yourself out on a date, and make it part of your regular routine. You deserve it! We often look to other people to meet our needs. It is easy to define what we want from a partner. But how can we have expectations of others if we do not meet those expectations ourselves? If you are longing for someone to make you feel secure, how can you create a sense of security for yourself? If you are looking outside of yourself for validation, how can you validate yourself? Many of us can easily identify the things that we didn’t get as children but desperately needed. Can you give those things to yourself now? I have merely scratched the surface of how to healthily develop the most significant relationship in your life. It is transformative work that takes time, but the benefits are well worth it. Some of the gifts may include being able to live more authentically and cultivating a greater sense of self-approval. Hopefully my suggestions give you a starting point, and if you would like guidance on this deeply fulfilling journey, contact Symmetry Counseling. Our team of compassionate counselors and psychologists are here to guide you through the process of nurturing your relationship with your self so you can experience better relationships with family and friends. If you feel you would benefit from this help, contact Symmetry Counseling at one of our two Chicago locations to schedule individual or family therapy.